I recently made the brigadeiro mousse jars for this perfect holiday party. 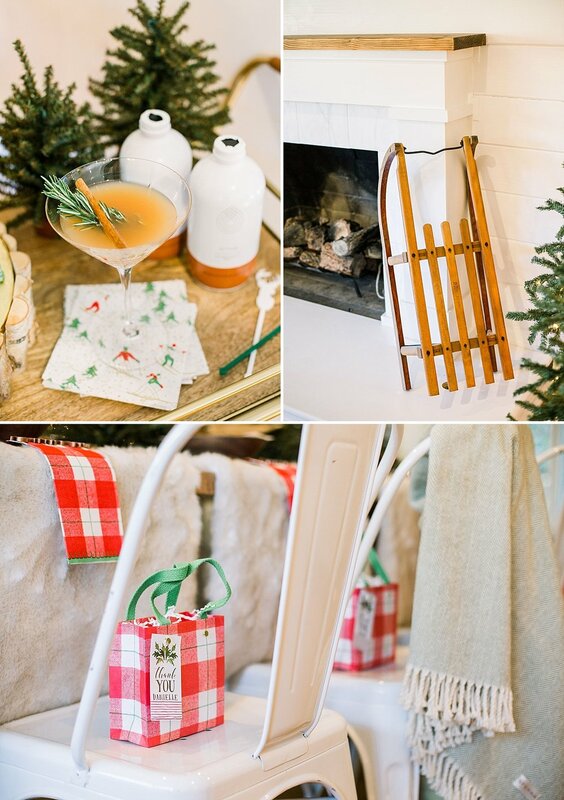 This cozy winter lodge inspired party featured a gorgeous styled table with lots of texture, a mini bar, desserts and sweet favors! I send the planners a few jars with stickers matching the theme. The flavor was dark chocolate topped with the modern festive sprinkles that gave a nice holiday cheer. By the way the jars can be made with any of our flavors. 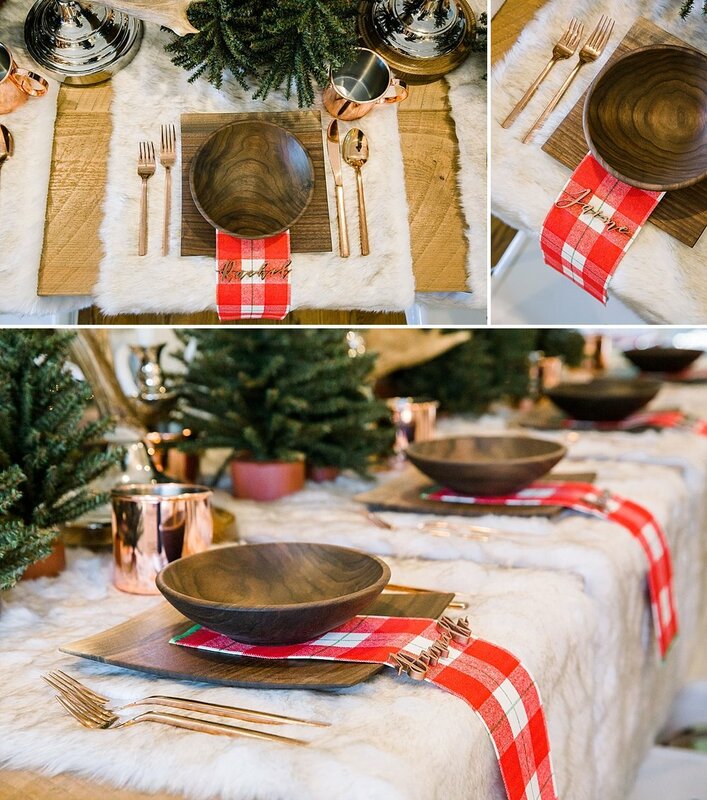 The table had soft fur draped over it, with wooden table wear, rose gold flatware, and copper mugs. My favorite part were the red checkered napkins, they were so festive! I must say that I’m huge fun of Caspari products. This setting is perfect for all holiday parties, from a small gathering, to a large feast! Our friends at Black Twine have figured it all out for you. The blueprint of the dinner party is up on their site with everything you need for it. All detailed, including some great tips for how to host your holiday party making personalized name plates and favor tags for each guest. Such a fun way to make everyone feel special, don’t you think? Whoa! Did I mention that it even tells you how much time you will save? I love that. As always we decorate our brigs for the holidays, and include one of our most popular flavors: Peppermint!